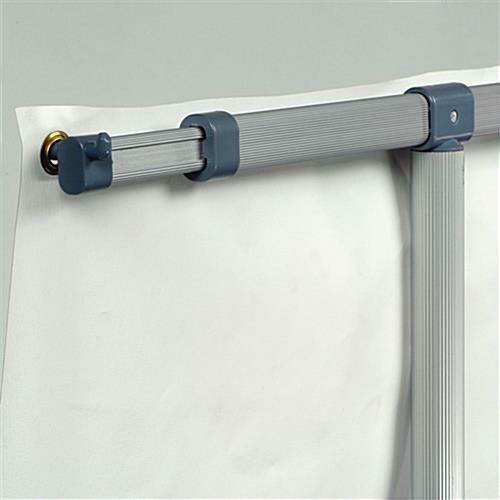 Banner Pole Stand - Height Adjustable Range: 39" x 82"
Looking for an alternative to hanging banners on walls and from ceilings? If so, this banner pole stand is what you need! With two aluminum horizontal bars that extend to various widths, this display stand can hold medium size banners from 25" to 39" wide. 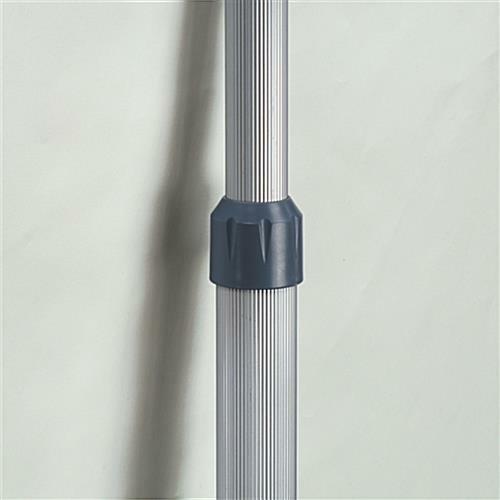 The aluminum middle pole also adjusts up and down for you to set any length between 43" to 82" long. The printed banner is not included with this banner stand display. 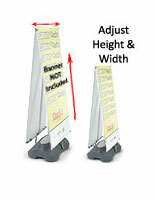 If you already own a display banner, this banner stand is one of the most convenient stands for you to buy. While most banner stands can only hold one banner size, this display stand is versatile and adjusts to the appropriate size. 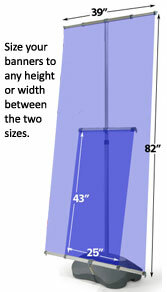 Your banner must be between 25" to 39" wide to 43" to 82" long. Make sure it has grommets on the 4 corners so that it can hook onto the horizontal arms. The banner stand display is also versatile because it can be used both indoors and outdoors. For outdoor environments, a high elastic spring, which connects the bottom bar to the base, reduces the impact of strong winds. 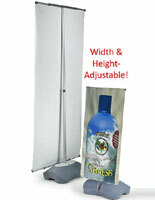 The banner stand is weighted down by its water-filled base that holds up to 6 gallons of water.No matter where you want to set up your display stand, this stand makes it easy. 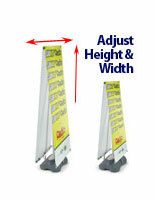 A space efficient display, the banner stand takes up less than 2 feet on your floor. 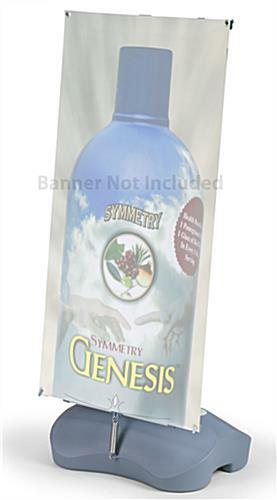 In addition, this banner display requires very little assembly, making it ideal for temporary usage. It breaks down just as easily and transports well so you can use it at various tradeshows and other locations.